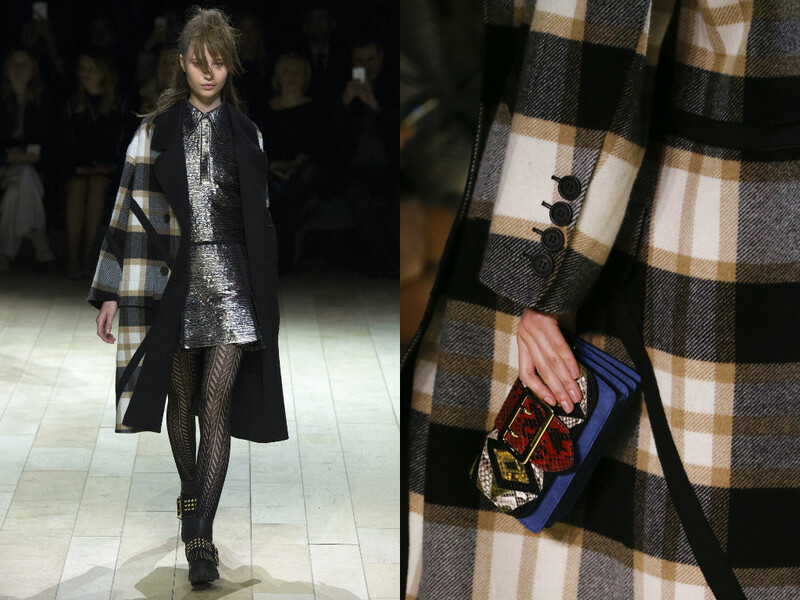 Burberry have totally changed direction since I first started writing about them. 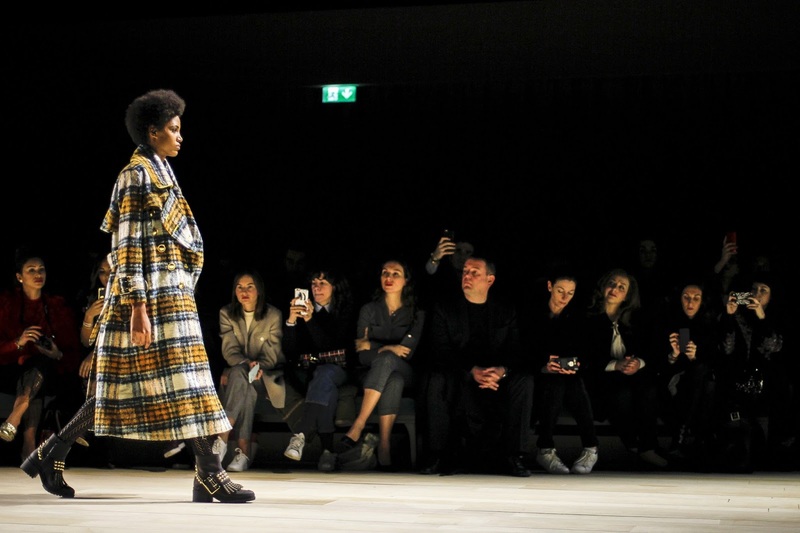 Every season, Christopher Bailey brings a completely different collection to the brand, and it is somewhat refreshing and exciting because you never know what he is going to do next. 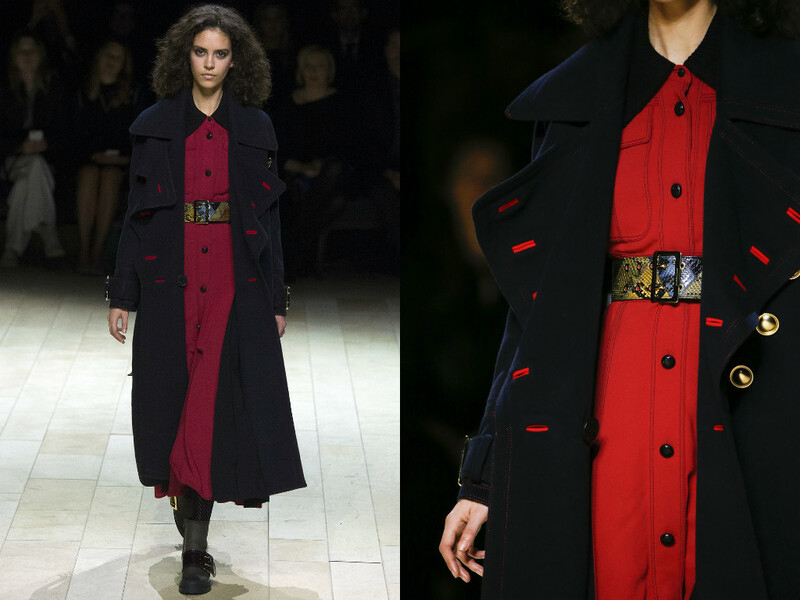 Stereotypically, Burberry is known for being unapologetically British, homing in on the country's heritage and styles, such as the Trenchcoats initially created for soldiers in the war by Thomas Burberry, hence the word trench in the name. 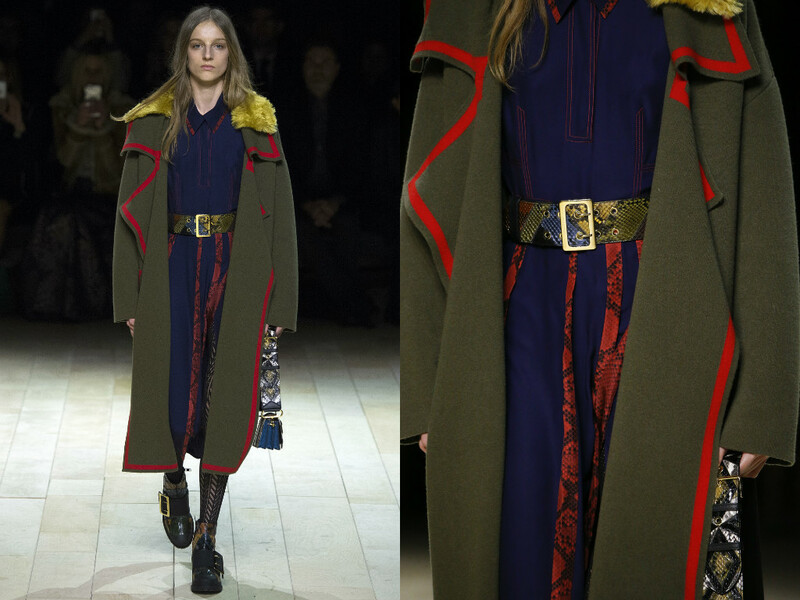 One thing I must say however, is that'd despite the contrast between each collection, he does always bring a trench to the looks - perhaps in different ways, shapes, patterns and colours - but it is aways there. 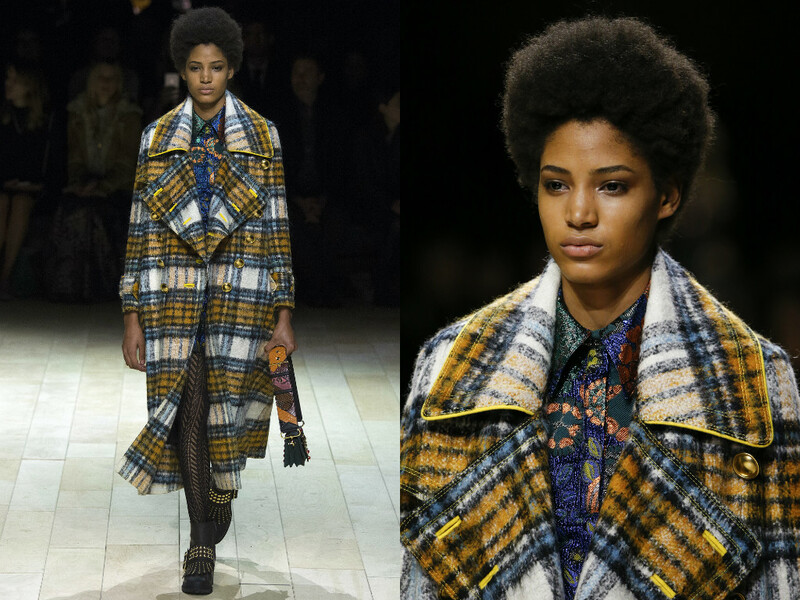 Another thing that is so unique about Burberry, is they always invite a singer onto the runway, to give the audience some entertainment whilst the show is running. 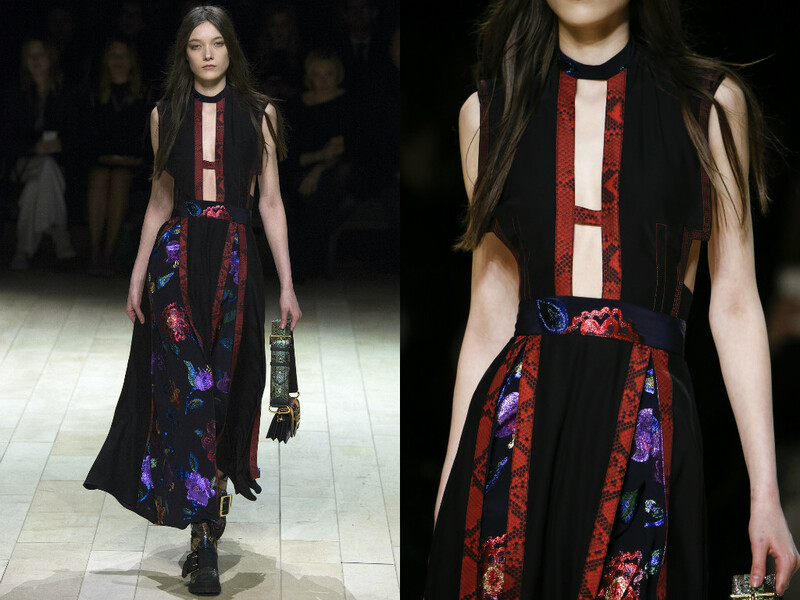 This year, Jake Bugg took the stage, a young, indie (not to mention very popular in the UK) British musician, and I think he was the perfect choice to reflect such a quirky and somewhat indie collection. 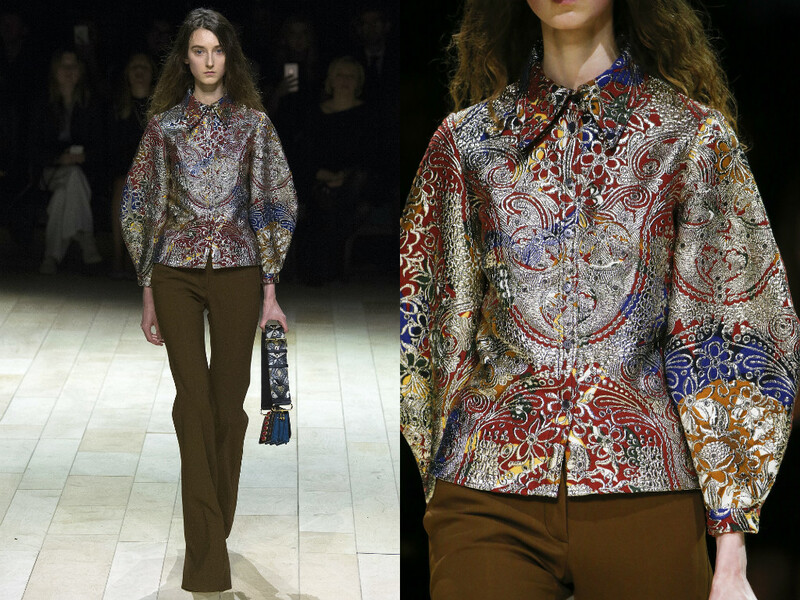 When I say "indie" we must not diverse ourselves from the fact that this collection, as always, is complete luxury. 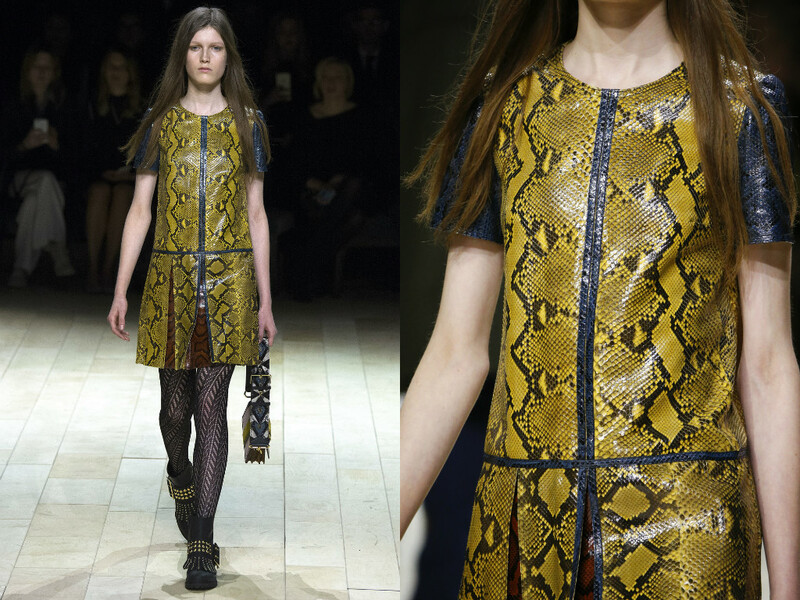 Most of the collection was python, which was highlighted in bright colours such as green and red - and the bags were colour-blocked with python material. 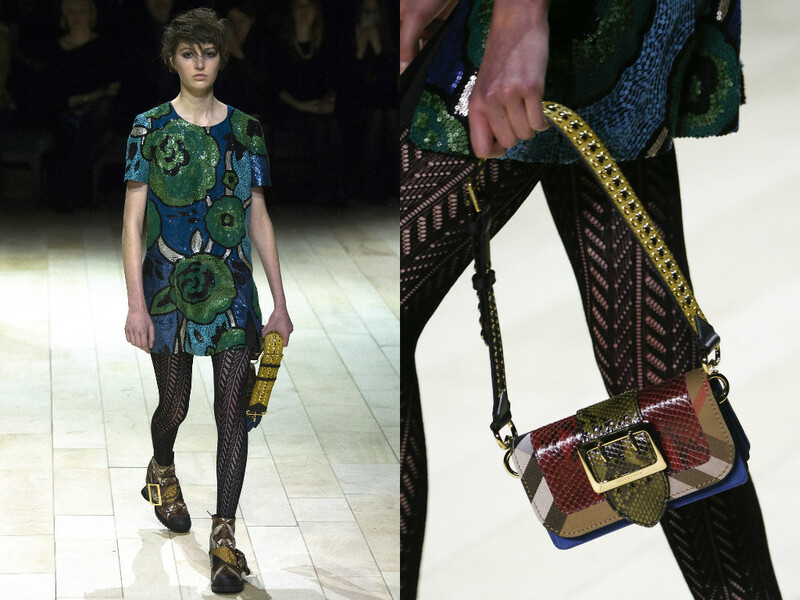 Very rich and I must mention, very expensive. 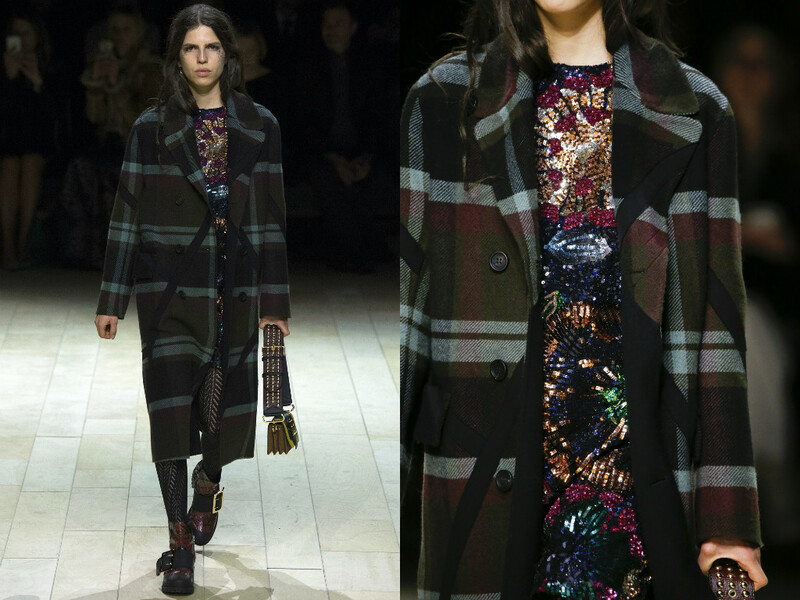 I always find that the LCM and LFW collections for Burberry compliment each other, and both the men and women shows tend to be the same influence and vibe - just different sexes. 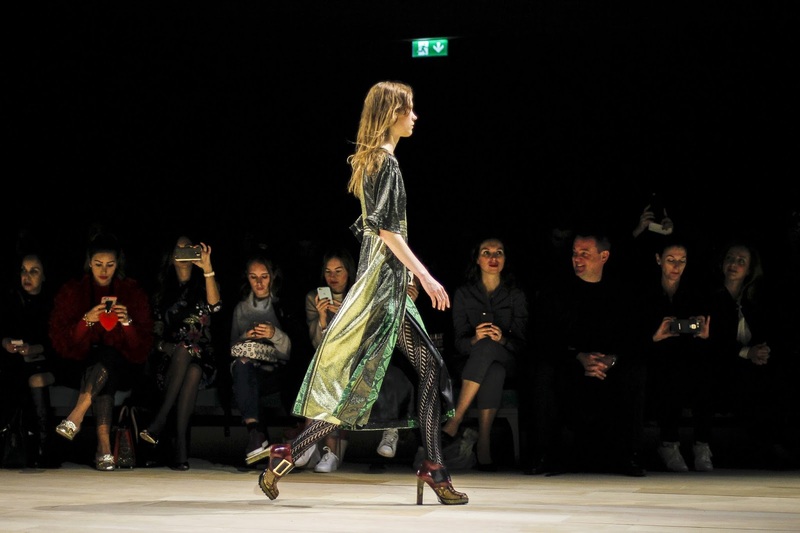 The David Bowie inspiration we saw at the men's show in January, was definitely forwarded onto the women's collection with models walking down the runway with Ziggy Stardust inspired hairstyles and "over-the-top" glittered face. 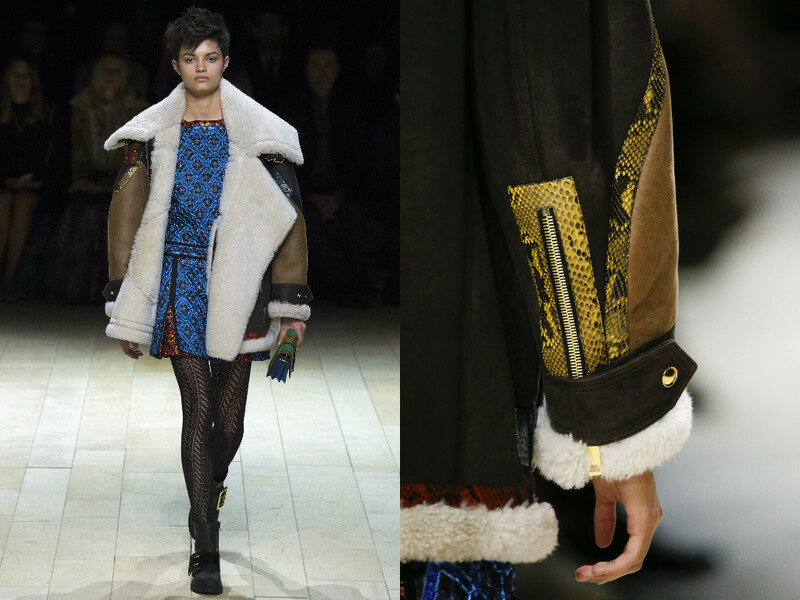 Christopher said backstage that the collection was full of his "favourite things." 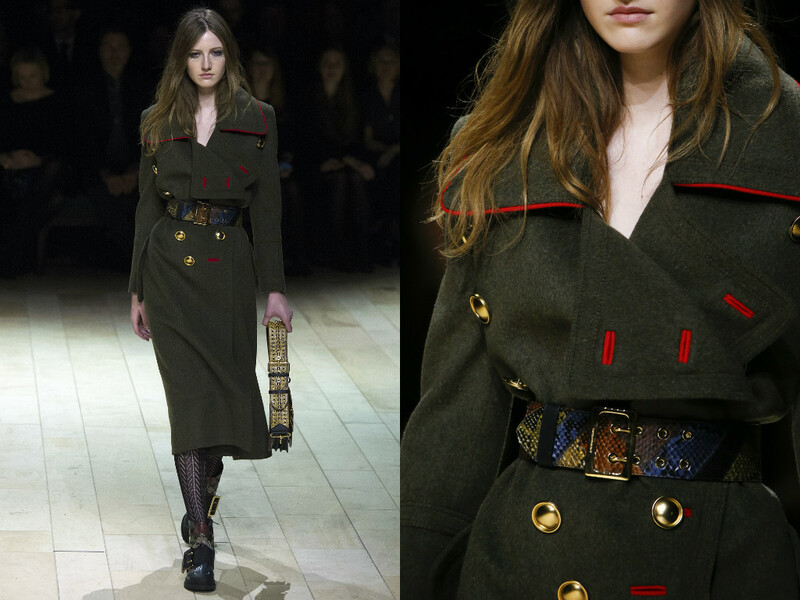 Which were then evidently proven to be 70s punk/rock vibes, tailored military garments and bohemian coolness with that all British edge - which we all know and love from Burberry. 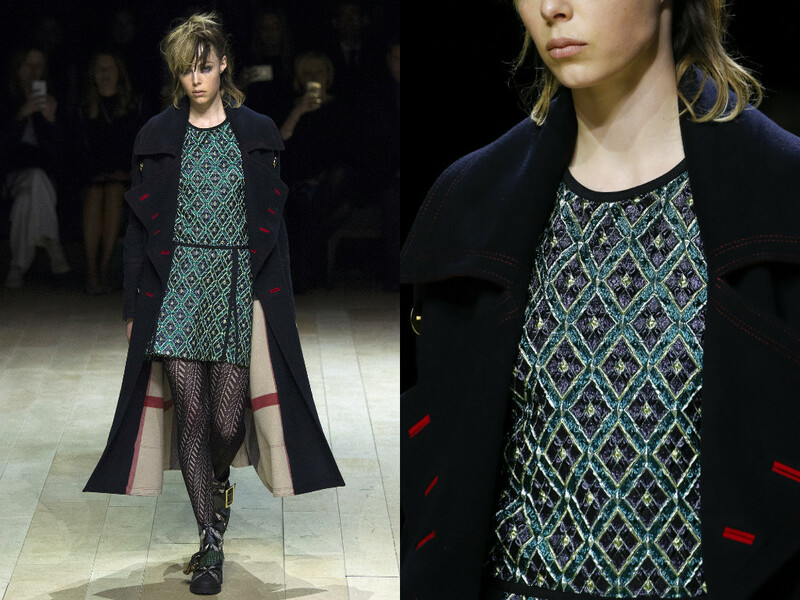 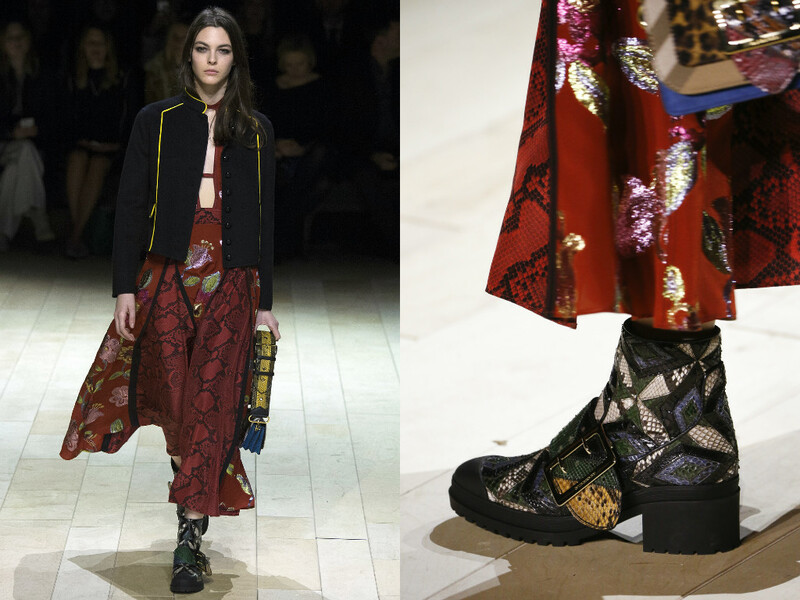 Edie Campbell, one of London's "IT" girl models who is arguably one of the effortlessly edgy models in the industry, opened the how with messy hair, glittered face, a thigh-skimming patterned dress teamed with patterned tights and chunky python patchwork boots. 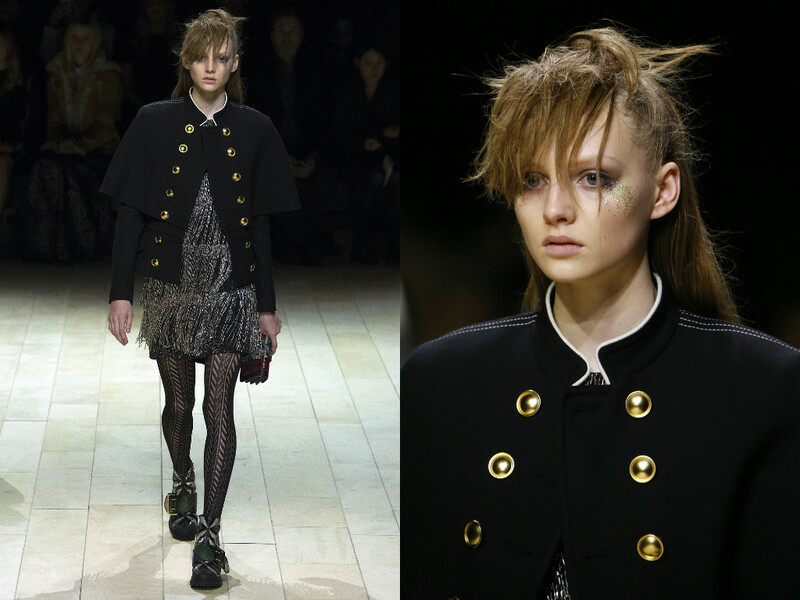 There and then, I knew this collection was going to take us back to the days of Punk. 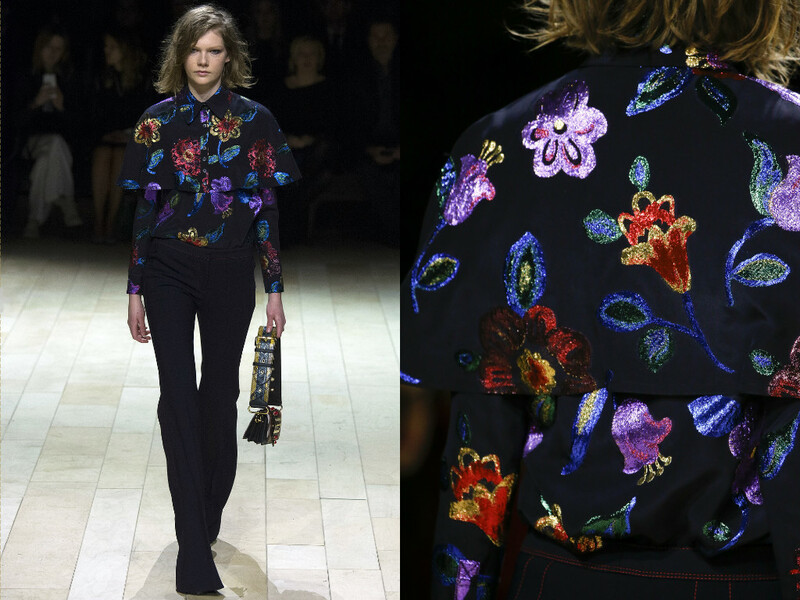 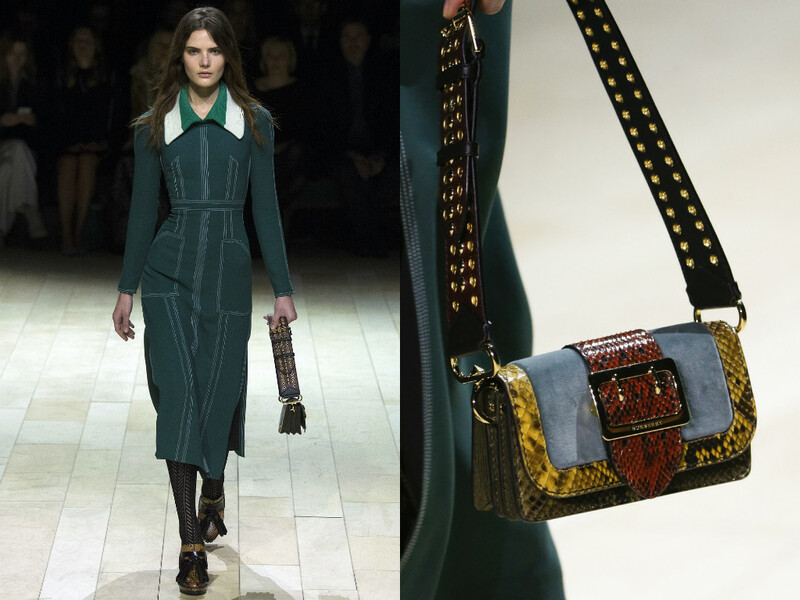 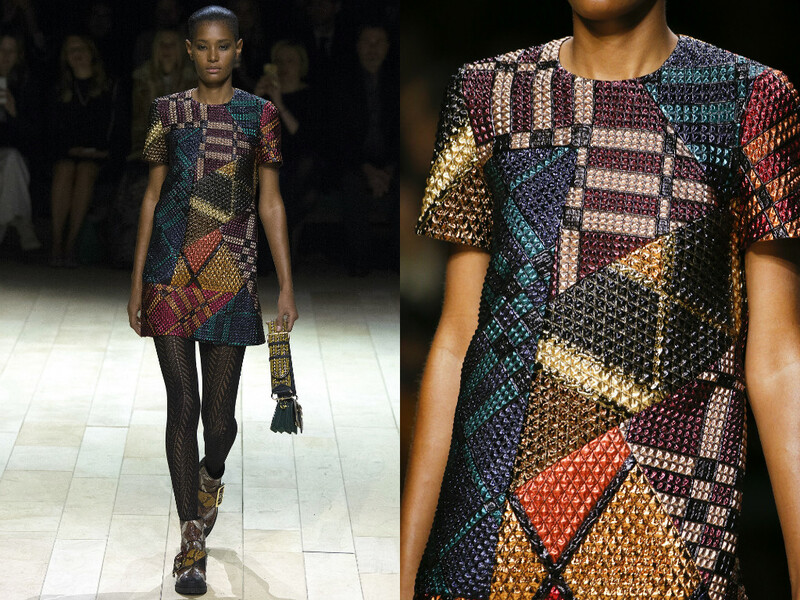 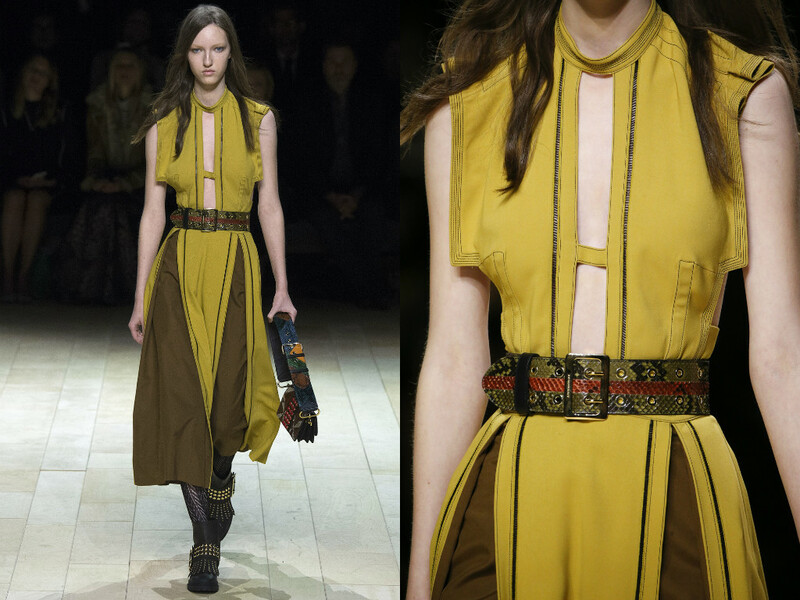 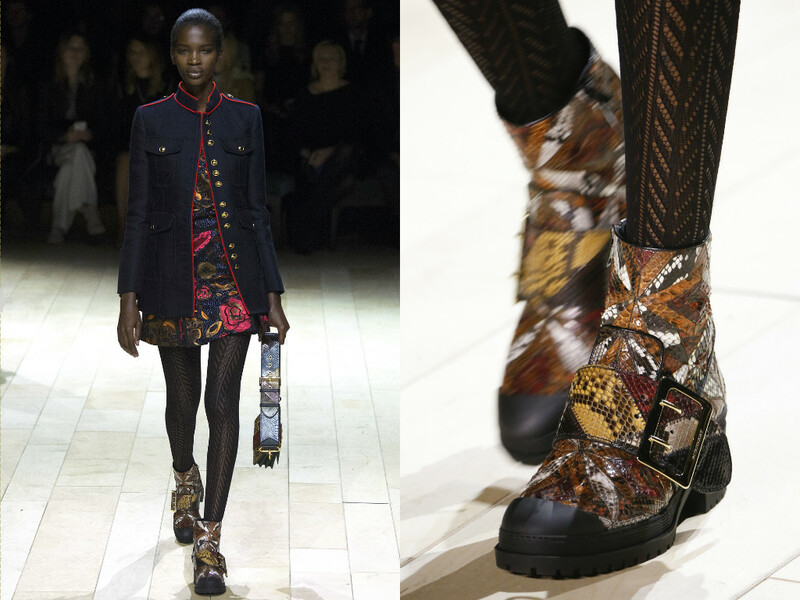 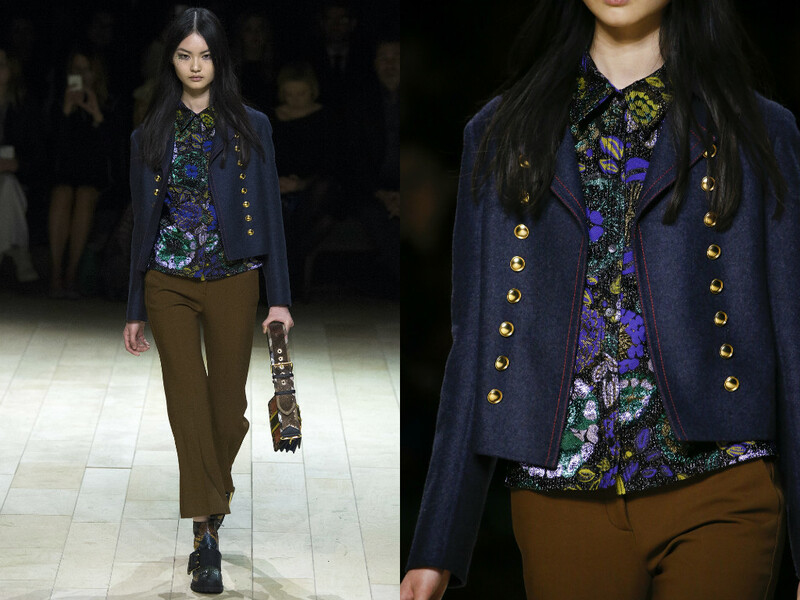 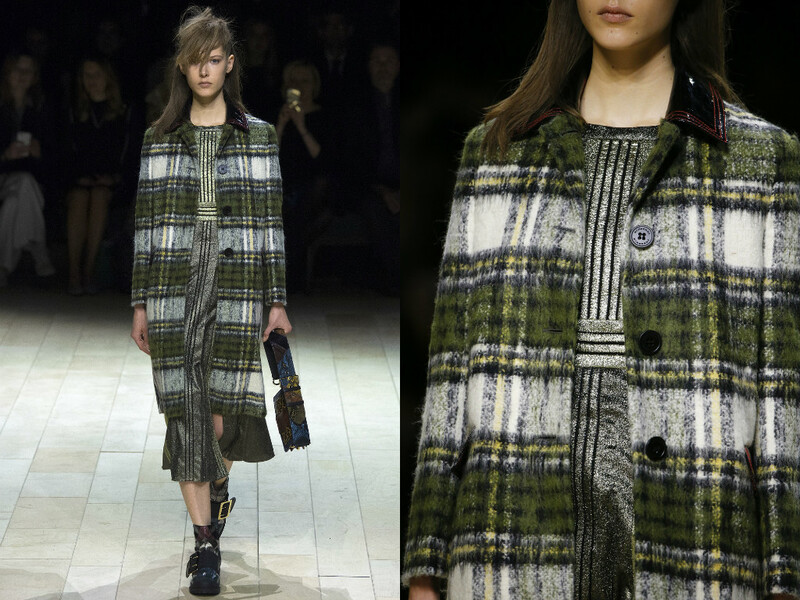 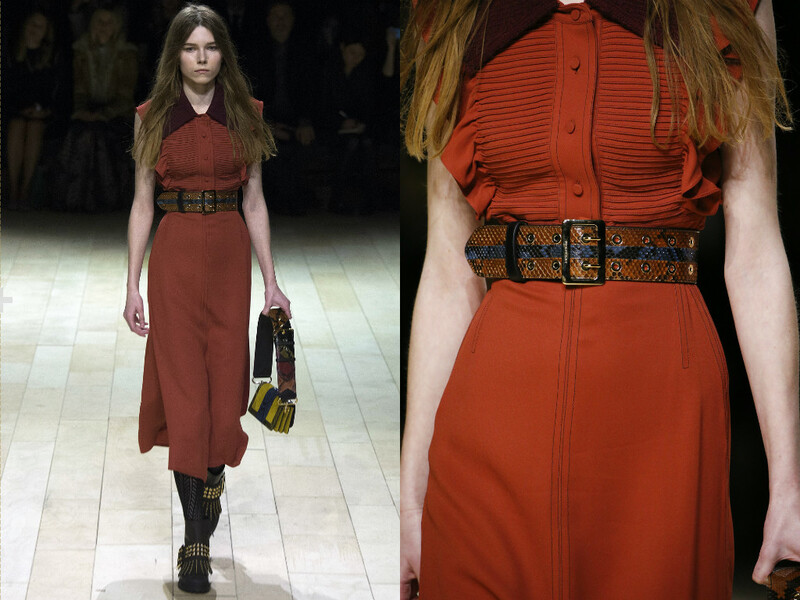 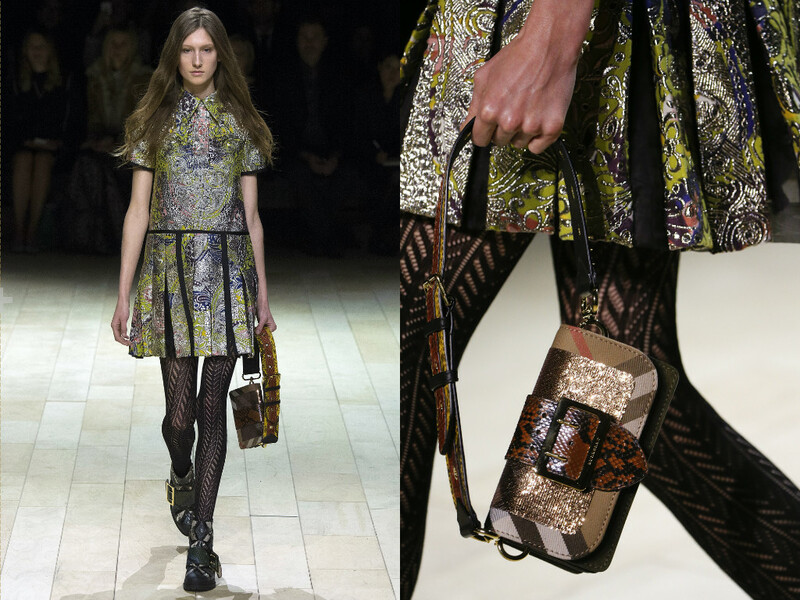 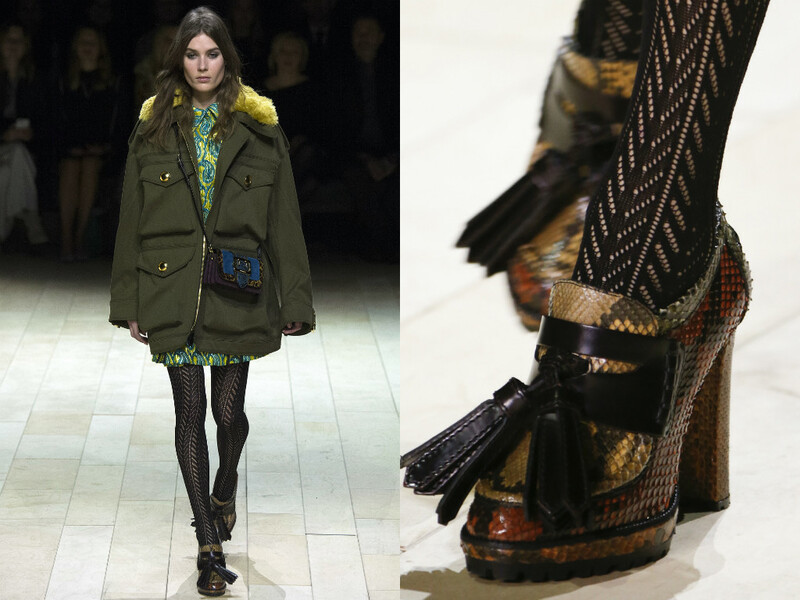 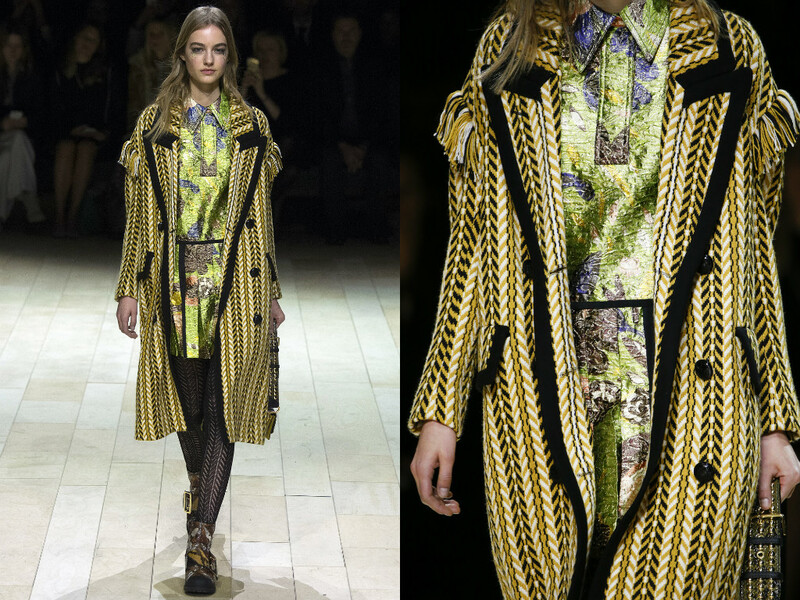 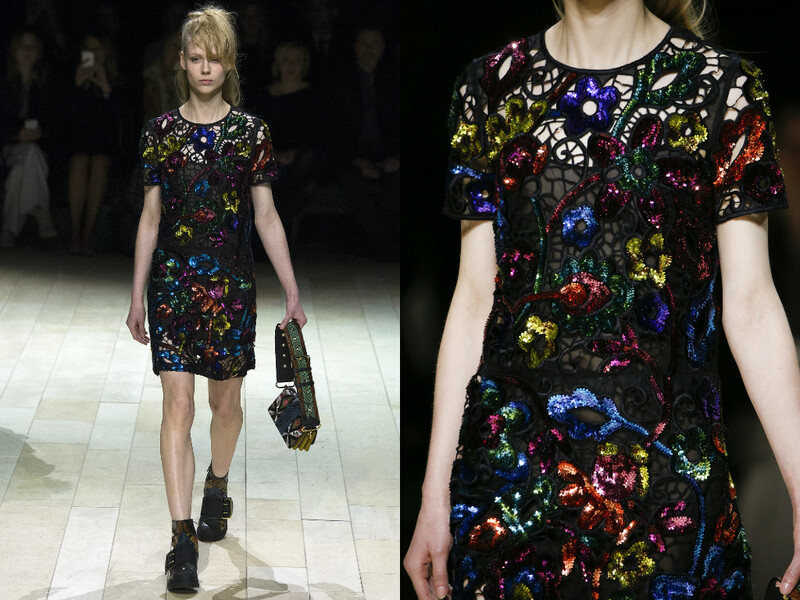 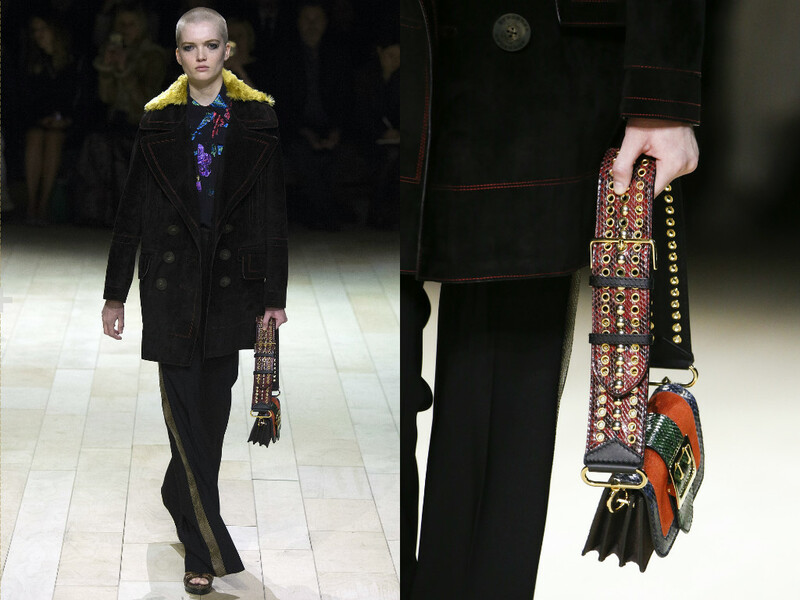 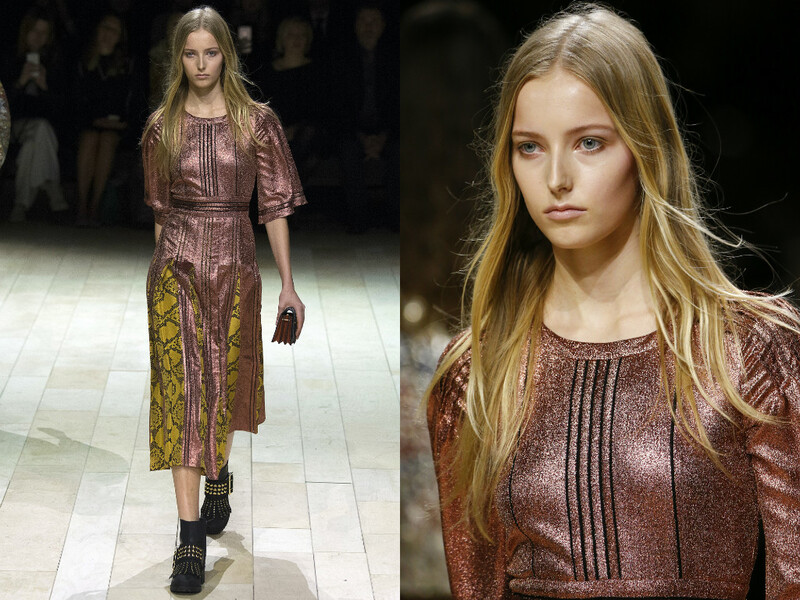 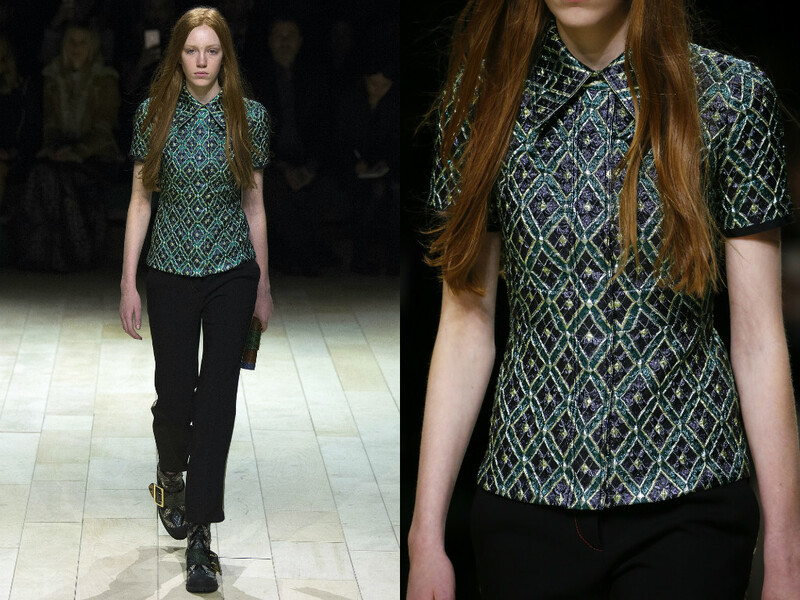 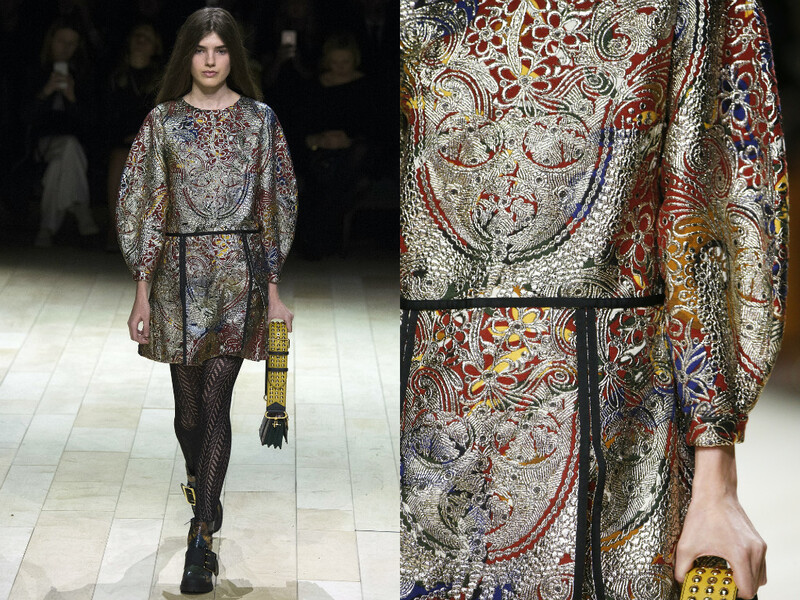 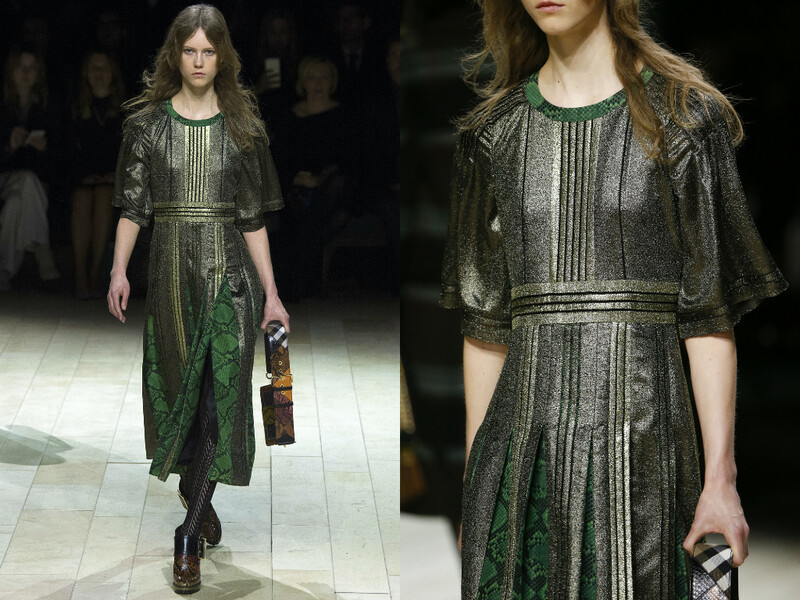 The collection overall did have a very quirky twist, which was refreshing to see from Burberry. 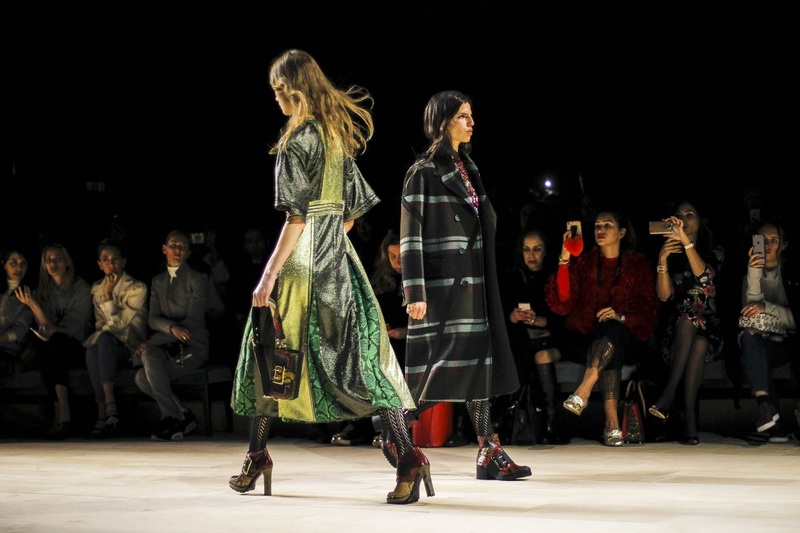 It doesn't stem too far from last AW's show full of bohemian maxi dresses and coats. 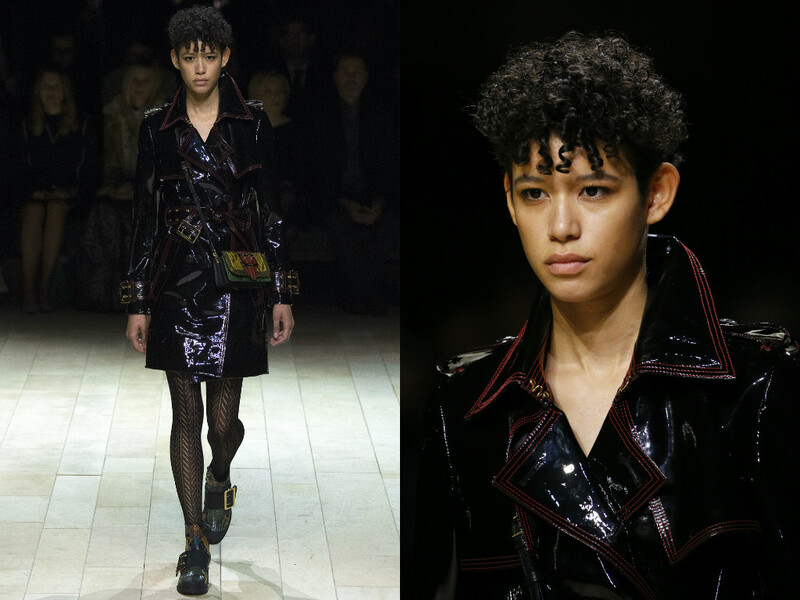 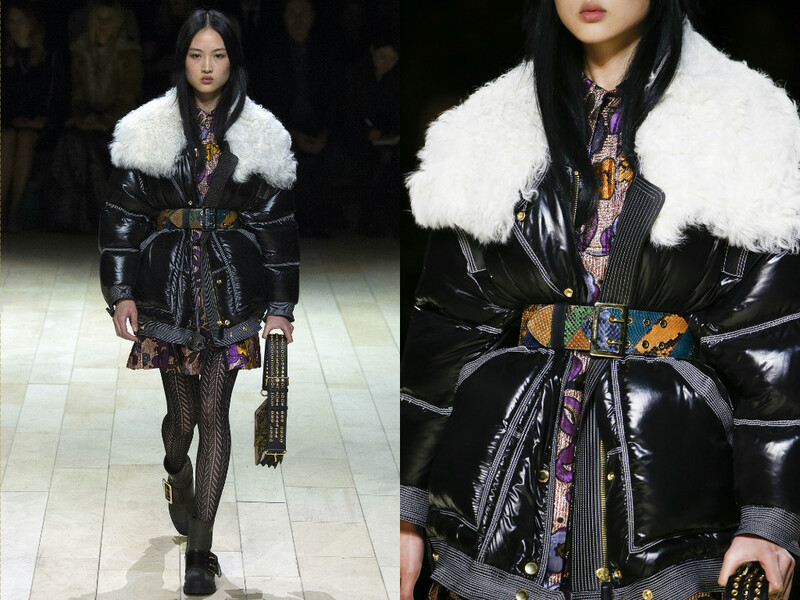 In addition, the collection presented a very tomboy feel with the edgy garments and all the coats (which Burberry do exceptionally well) all had their own individual twist which completely differentiated one from the other. 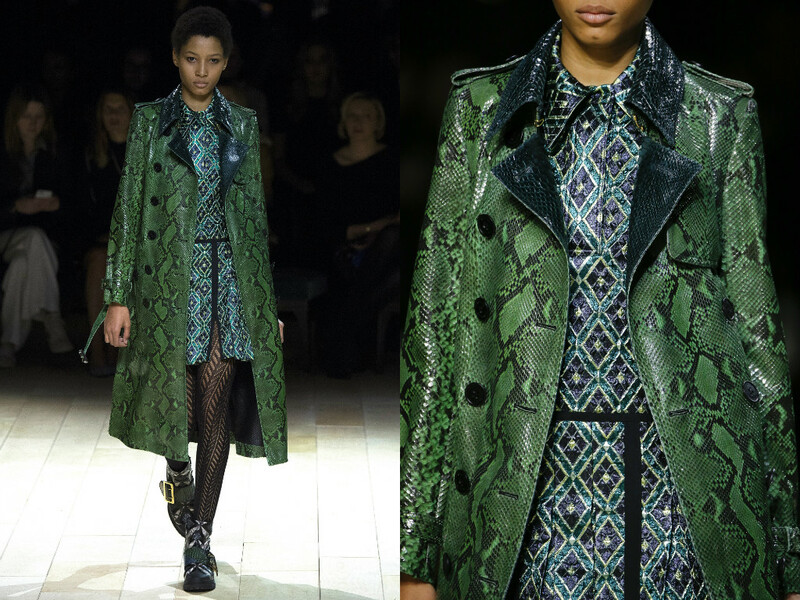 The first coat that really did catch my eye was the all-python trench in bright beetle green. 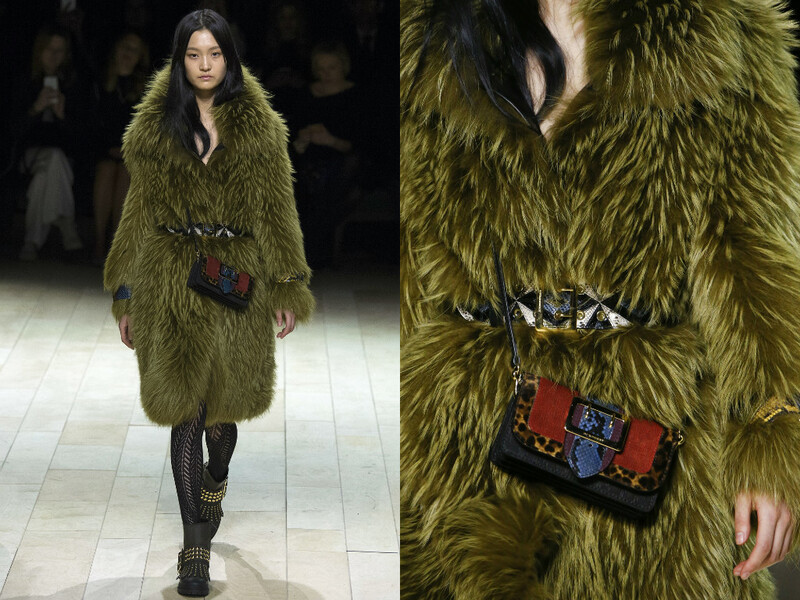 A statement for sure - and to be worn by the exceptionally brave and eccentric. 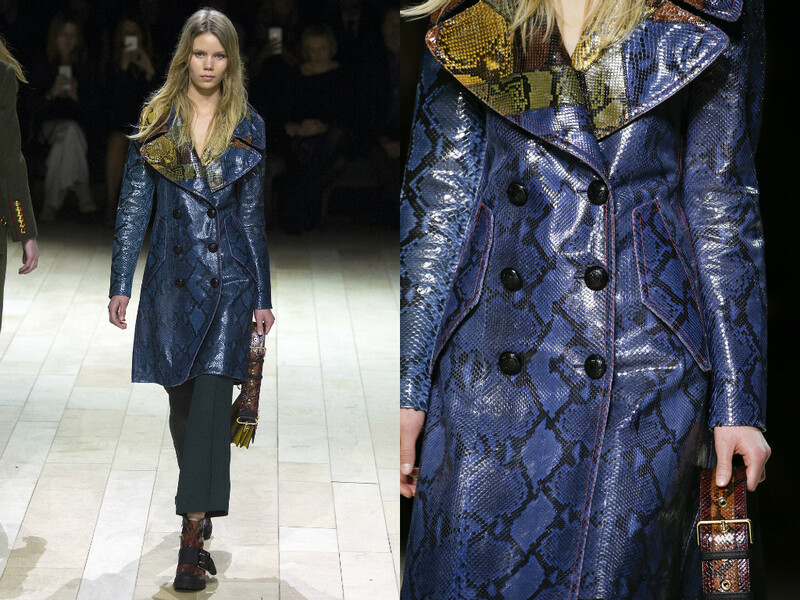 Then there was a more toned-down khaki market with yellow shearling lining which is perfect for those women who perhaps aren't brave enough to rock the python piece, but would happily have a burst of colour on their coat. 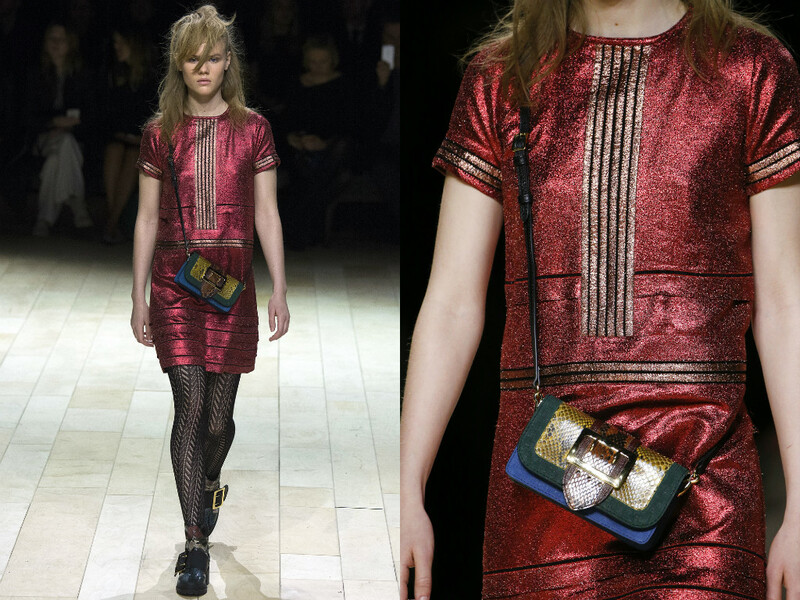 The gorgeous patent leather piece with red stitching was a particular favourite of mine, purely because of how different it was. 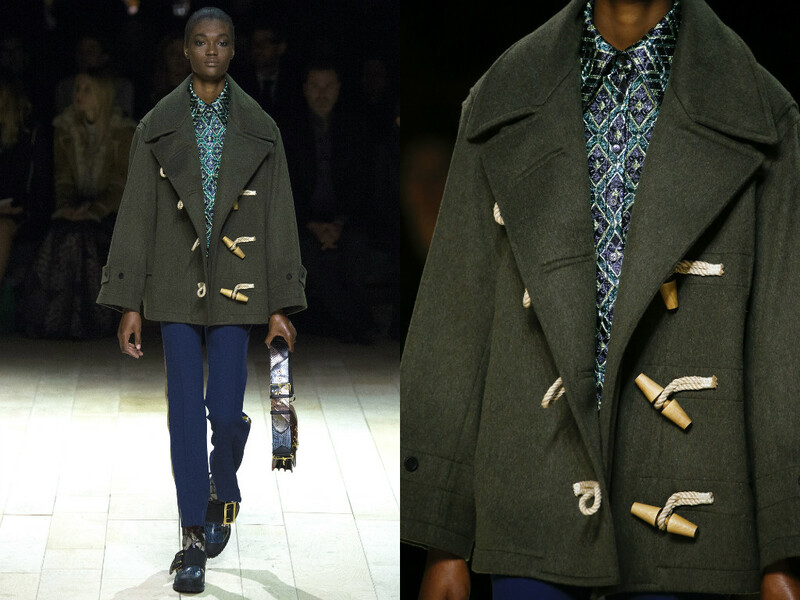 I have never seen something like this from Burberry before. 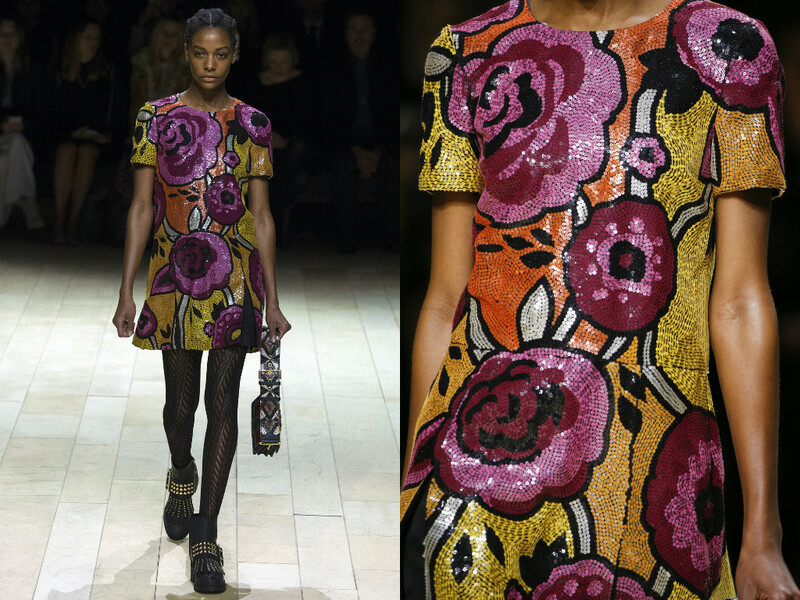 Despite the tomboy feel we got from the looks, there was also definitely a romantic, sweet 60s feel in the form of mini sequin dresses with bold pop art prints. 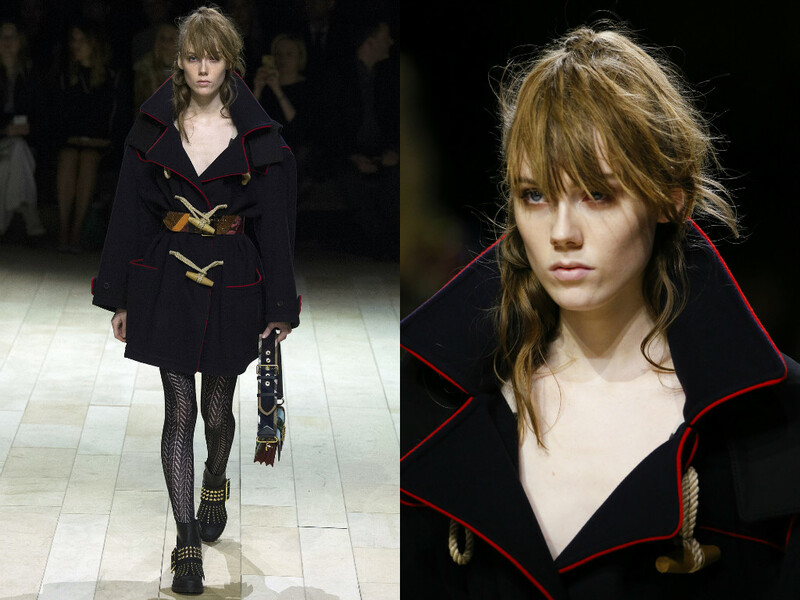 It complimented the punk inspired pieces nicely and it refrained the looks from being too harsh. 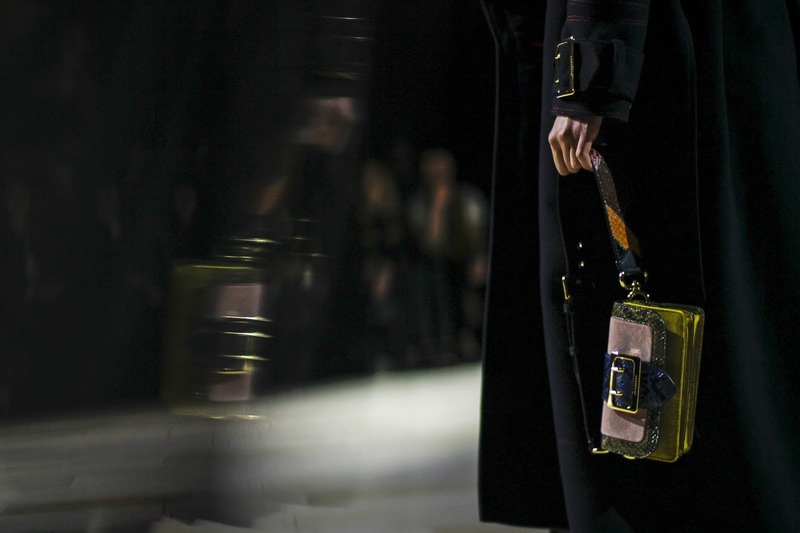 Burberry was one of the first luxury houses to embrace the digital age which is dominated by technology and social media, and as of September, they are introducing a "direct-to-consumer" show, which will allow eager customers to get their hands on the pieces before anyone else. 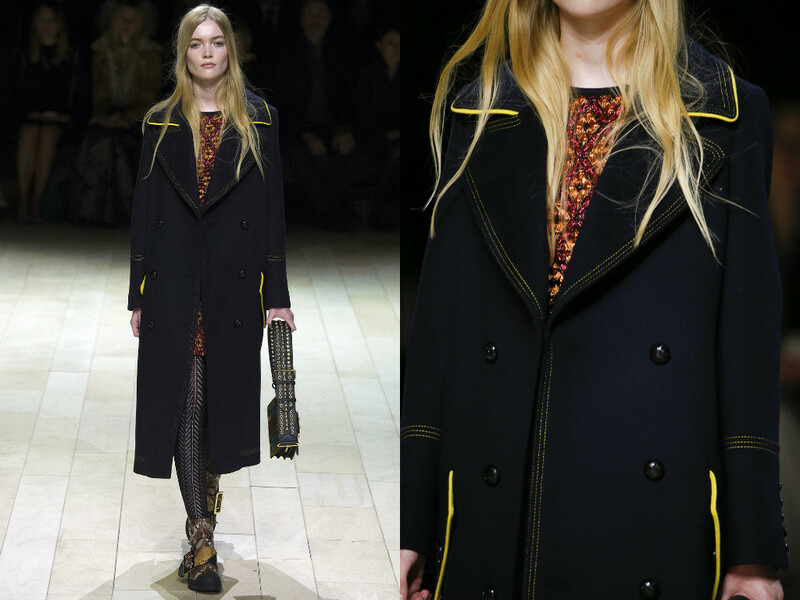 That, I cannot wait to see.